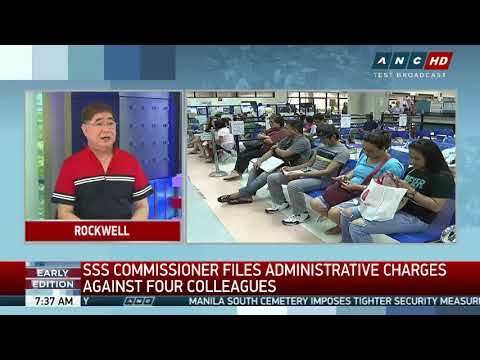 As part of its cleansing process, a commissioner of the Social Security System (SSS) has filed an administrative complaint against two of its officials. 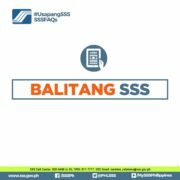 The said officers are alleged to have withheld information from SSS about stock investment prospects and profit from it themselves. 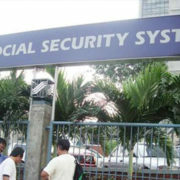 Reginald Candelaria and Ernesto Francisco were named on the complaint claiming they used information they obtained from an accredited SSS broker to buy from the initial public offerings (IPOs) of 5 companies, instead of recommending them to the Social Security Commission. 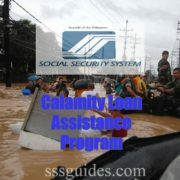 The Social Security Commission is the policy-making body of the SSS. Private companies take advantage of IPOs when going public for the first time and sell shares of stocks which are then traded in the open market. SS Commissioner Pompee Laviña in an interview with ANC news. Candelaria, one of the accused, filed a personal trading pre-clearance request form on June 20, 2016 noting that one stock in question, Golden Haven Memorial Park Inc., was not ”SS accredited” and not being considered by SSS as investee stock. He even cited “no conflict” in a separate clearance form for another set of stocks. However, La Viña pointed out that they had intentionally failed to propose it to the Social Security Commission. 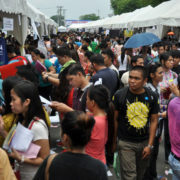 He added that they traded the shares unmindful of their fiduciary duties to inform SSS. Executive Vice President Rizaldy Capulong, chief of the SSS investment sectors, was also named in the complaint for alleged “gross neglect of duty. His department covers the capital market group headed by Candelaria and the fund management group headed by Francisco. According to La Viñas complaint, Candelaria earned a gross profit of Php144,844 with an investment return of 4-11 percent in just 7 to 15 days. Meanwhile, the some records submitted by Francisco showed earnings of Php413,000 for a short period of time as filed on the complaint. “Had their scheme been allowed to continue undiscovered, the amount would have run into millions of pesos,” La Viña alleged.